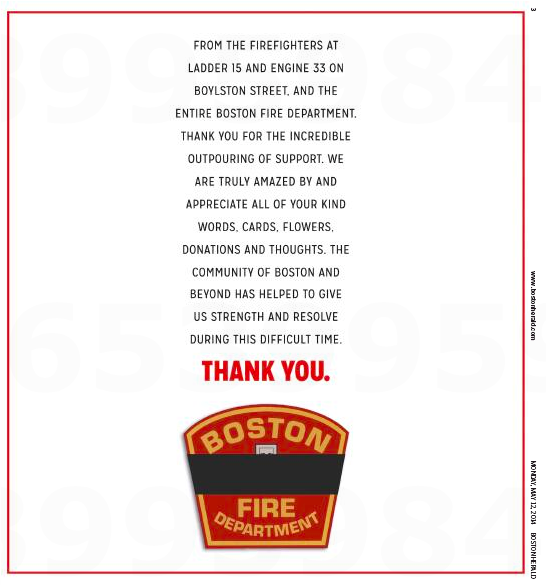 Looks like the family of Edward J. Walsh Jr., the Boston Fire Department Lieutenant who lost his life fighting a nine-alarm Back Bay fire in March, really started something over the weekend. Hmmm. 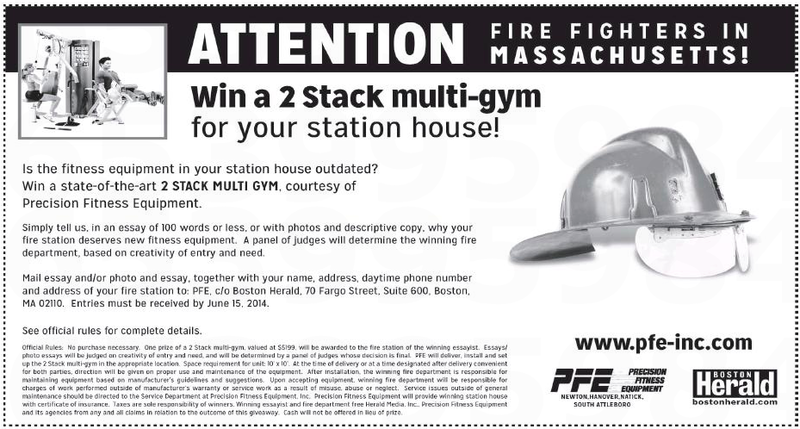 We called Precision Fitness Equipment to get more info, especially about the involvement of any Massachusetts fire departments in this bakeoff. There is none, as it turns out. A pleasant fellow named Dave Aykanian says the company had done something similar seven or eight years ago (he remembers a Quincy fire station winning back then) and, given all that’s happened with firefighters lately, thought it would be nice to do something for them. Okay, then. Pretty sure that ad will not be running in the Globe tomorrow. This entry was posted on Monday, May 12th, 2014 at 4:55 pm and is filed under Uncategorized. You can follow any responses to this entry through the RSS 2.0 feed. You can leave a response, or trackback from your own site.